With an iconic design, razor-sharp handling, and surprisingly spacious interior, the MINI Cooper perfectly captures the spirit and optimism of today’s driver. And residents of Hillsmere Shores reflect that optimism that comes from living in this quiet, waterfront community. With this lifestyle, it’s no wonder many turn to this compact car as their day-to-day vehicle. And luckily, they can easily turn to their very own MINI Cooper dealer, MINI of Annapolis, for all their driving needs. Hillsmere Shores is a quaint suburb of Annapolis, located in Anne Arundel County, MD. As of the 2000 Census, there were just under 3,000 people in this small town. It boasts stunning views of a private marina with direct access to the South River, where there are multiple playgrounds, a sandy beach, and a community pool. After you pick your kids up from Georgetown Elementary School, drop them off at the Eastport-Annapolis Neck Community Library to get some homework done, while you run errands at the Westfield Annapolis shopping mall. Afterwards, gather the whole family together and take them to Boatyard Bar & Grill to have some of their specialty crab cakes, gumbo, or lobster rolls. To travel to your daily destinations, you’ll need a reliable vehicle. And you’ll find that at your local Hillsmere Shores MINI Cooper dealership. Finding your ideal MINI model is easy when you have a plethora of options to choose from. Whether you have your eye on the MINI Cooper Clubman ALL4, the MINI Cooper S Convertible, or the MINI Cooper Hardtop 4 Door, you’ll find those and more in our new model inventory. Once you find the perfect new, used, or certified pre-owned MINI Cooper model for you, turn to the finance center at our Hillsmere Shores MINI Cooper dealership. 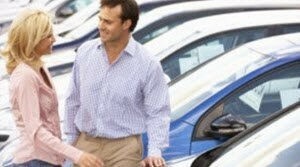 Our finance experts will guide you through the car buying process to get the options that are best for your budget. We offer competitive financing rates and terms on our vast selection of new, used, and certified pre-owned cars, trucks, and SUVs. Get started today by applying for financing to get pre-approved. Even after you drive home in your next MINI Cooper, you’ll still want to keep it lasting for the years and miles to come. To ensure the long-term value of your new vehicle, be sure to visit our service center near Hillsmere Shores for quality repair and maintenance. Our highly trained service experts will tend to any service-related needs—from oil changes and tire rotations to brake or transmission repairs, there’s no job too big or too small for our technicians. Be sure to schedule service at the first sign of a repair or maintenance need. Visit Your Local MINI Dealership near Hillsmere Shores Today! With an impressive inventory, expert finance center, and reliable service center, MINI of Annapolis is your go-to MINI Cooper dealer near Hillsmere Shores, MD. 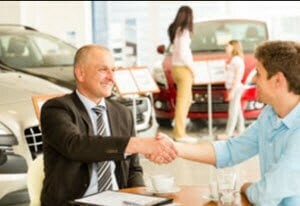 To get started on your car buying journey, be sure to contact us today!